This group of faithful ladies provide support for the Mashiah Foundation & the New Life Band from Africa, maintain a prayer tree and support ChristKids Preschool. Their special ministry have impacted our young children, and those in need. In addition, they look globally on helping others who are experiencing tough times. This unique group of men, women, boys, and girls visits Delta Convalescent Hospital monthly to bring good old-fashioned music to the residents. Often the residents join right in and the music flows freely! Not only does this loosely structured musical group sing old favorite hymns, but we also sing many “golden oldies”. 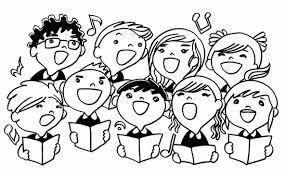 Anyone who is interested in getting out on a Saturday morning and singing the old favorites to and with a most appreciative audience is invited to join us! Quilts, and quilt tops are started and finished during the Tuesday & Wednesday Quilting Prayer Circles. Many are distributed to those in need throughout Tulare County. 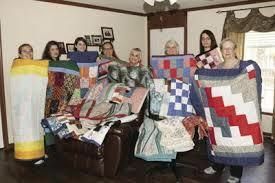 Locally those baptized at CLC, and those in need of warmth as they are assisted in hospitals and special care units, receive these quilts of love. Global Cut and Sew works on Lutheran World Relief quilts and kits that are sent to those in need throughout the world, as well as baby quilts for our missionaries serving in Africa. Quilters, Manna Ministries, and many more! Something is going on throughout the week. Whether you have a passion for quilting, or assisting with meals and supporting special events in the church, contact us and share your interests. We'd love to have you join us. We bring our gifts together to share a message from God through song. Our faith is demonstrated and is meant to touch the lives at the Delta Home, giving all a special opportunity to enjoy this special ministry. 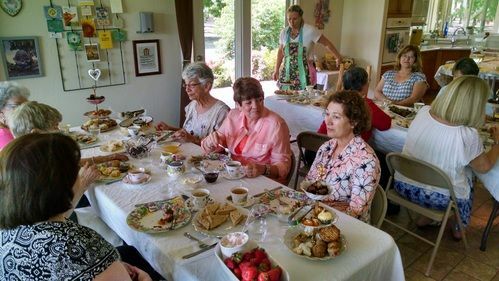 For a very special group, focused on bible studies and how Jesus impacted the world, join our Well Women @ Valhala's Restaurant, 311 W Center Street. 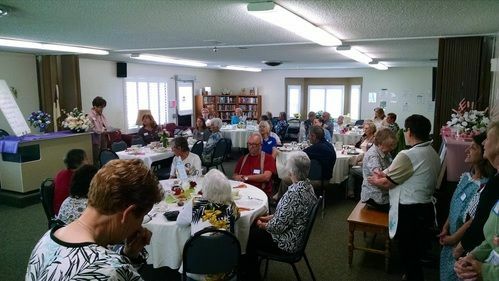 This group meets the 1st & 3rd Friday of every month, from 6:30am to 7:30am. We'd love to have you join us. Please fill out the form below to get started. Which Group(s) are you interested in? will enjoy an abundant life in Christ.